The Perceptions of Pregnancy blog, like the Researchers’ Network, aims to reach beyond boundaries and borders, and to facilitate an international and interdisciplinary conversation on pregnancy and its associated bodily and emotional experiences from the medieval to the modern. Today’s post on identifying pregnancy in the early modern period is contributed by Leah Astbury. In a period before physician-performed or home pregnancy tests, how did women know with any great certainty they were pregnant? This is a question that has garnered significant debate for the early modern period (c. 1500-1750). Sixteenth and seventeenth-century printed medical texts abound with pregnancy tests, such as urinating on plants to observing their pattern of growth; a parturient woman’s urine would supposedly trigger unfettered growth in plants. It seems unlikely, however, that early modern lay people would have perceived such urine tests as infallible. Printed medical texts often simultaneously prescribed the urination test as a method of divining pregnancy as well as which partner in a marriage was infertile. Surely therefore a super fertile woman would always make plants grow! In the 1970s, Patricia Crawford argued that lacking all other reliable medical tests, early modern women charted their menstrual cycles as a method of pregnancy testing, and the cessation of menstruation was taken as the first credible sign of parturition. Crawford conducted an in depth analysis of Sarah Savage’s diary, the daughter of a prominent non-conformist minister, who struggled for two years between 1687 to 1688 after her marriage to conceive. Crawford’s research revealed that Sarah believed herself to be pregnant at regular intervals coinciding with when her period was due, only to be proved incorrect when it arrived tardily. However, it would seem that even in the example of Sarah Savage, who was undoubtedly looking to her menstruation as a potential bodily sign of pregnancy, it only gave women hope. The opening paragraphs of Samuel Pepys’s diary in 1660, who did not have any known children with his wife or mistresses, noted ‘My wife, after the absence of her terms for seven weeks, gave me hopes of being with child, but on the last day of the year she had them again.’ In essence, the absence of menstruation was the first of many symptoms that seventeenth-century women mentally ticked, in affirming themselves to be pregnant. 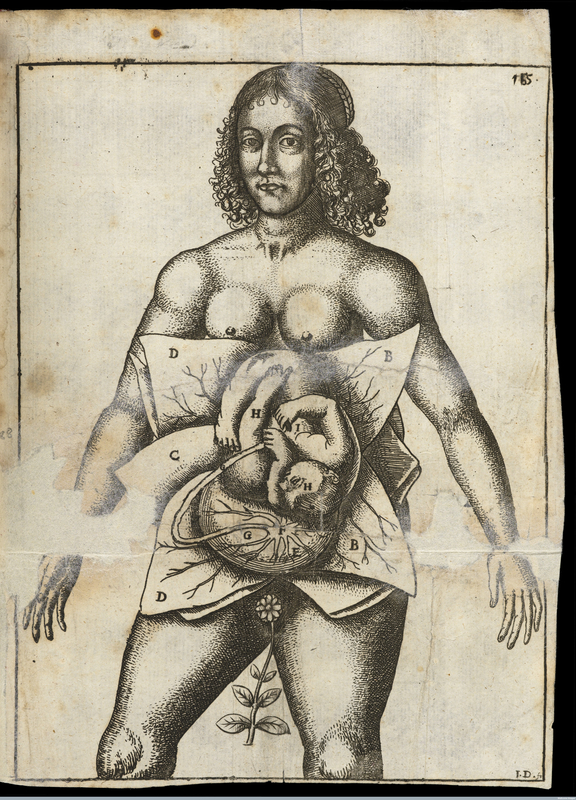 Menstruation was a decidedly unreliable bodily tool for predicting the arrival of a child; its importance was more widely related to health in early modern thought, both reproductive and otherwise. Jennifer Evans has shown that remedies listed in family recipe books to provoke menstruation cannot be simply treated as abortifacients: she argues that women might seek to resume menstruating to increase their lust and fertility more broadly. Furthermore, Sara Read has convincingly shown how fundamental menstruation was to concepts of female health. 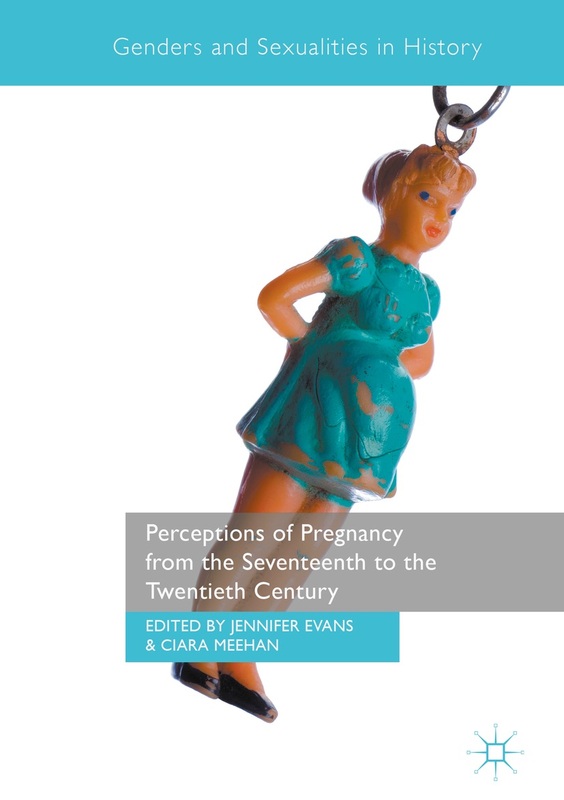 Women in seventeenth-century England were concerned not just with whether or not they were pregnant, but also with their due date, something which we currently conflate into one ‘discovery’ event as a result of contemporary medical technology. Their seemingly disproportionate concern with divining the suspected day of delivery was a result of the need to make preparations themselves. It was thus important to determine when conception to mentally work forwards; menstrual cycles were not a reliable way of doing this. As the English Midwife Enlarged stated, however accurate an account of monthly cycles a woman kept, she could not know ‘the certain time of her being with Child.’ Thus for middle and upper class women not menstruating did not necessarily equal pregnancy. Bleeding in a controlled manner was a female bodily sign of health, and thus as long as this bleeding was not excessive, it was not considered worrisome if a pregnant woman menstruated. Rather than relying on a single unequivocal sign, women seem to have mentally checked off a number of symptoms to determine themselves pregnant. A letter from Edward Conway to his brother in 1658 shows this in action. Lady Conway had been in poor health, a ‘sad condition’ for four months. Given the general malaise, Edward stated ‘We have had thoughts oftentimes in my wife’s sickness, perhaps she may be breeding.’ This example clearly indicates that a sudden change in health, which was characterised by general and total bodily disorder was often thought to envelope women in the first months of pregnancy. Menstruation is not mentioned. The Conways were not confident in their assessment, and thus consulted ‘the best doctors and midwives’ only to be plunged into even greater confusion when they were assured that Lady Conway was not with child. Five months into her illness she felt ‘herself quick [the child moved], and with such a motion as they say is not compatabile with any disease.’ She gave birth to a son four months later. The Conway example shows a family in the process of assessing a range of symptoms. Only when a significant number had been fulfilled, did women confidently proclaim themselves pregnant. Leah Astbury is a PhD student at the University of Cambridge working on domestic medicine and childcare in early modern England. She is particularly interested in post-natal maternal and infant health. She is supported by the Wellcome Trust’s strategic Generation to Reproduction award at the Department of History and Philosophy of Science. Patricia Crawford, ‘Attitudes to Pregnancy from a Woman’s Spiritual Diary’, Local Populations Studies (1978) 21, 42-5. Jennifer Evans, ‘ “Gentle Purges corrected with hot Spices, whether they work or not, do vehemently provoke Venery”: Menstrual Provocation and Procreation in Early Modern England’, Social History of Medicine (2012) 25/1, 2-19. Sara Read, Menstruation and the Female Body in Early Modern England (Genders and Sexualities in History (Palgrave: 2013). The English midwife enlarged, (London, 1682), p. 24. Lord Conway to Major Rawdon 12 October 1658, The Conway Letters: The Correspondence of Anne, Viscountess Conway, Henry More and their Friends, 1642-84, M. Nicholson (ed. ), (London: 1930), pp. 152-3. This entry was posted in Blog Posts, Past Posts and tagged menstruation, pregnancy tests. Bookmark the permalink.